Curt travels the world on business and for leisure and enjoys local hospitality and cuisine. Busan is the second-largest city in South Korea. 325 kilometers southeast of Seoul, it is home to 3.6 million people and is the largest port city in Korea. Busan is famous for its beaches, including Haeundae Beach, a 12-km stretch of coastline that is a favorite of Koreans. It is the ideal location for a weekend getaway, not only for its outdoor activities but also for its shopping and cultural sites. 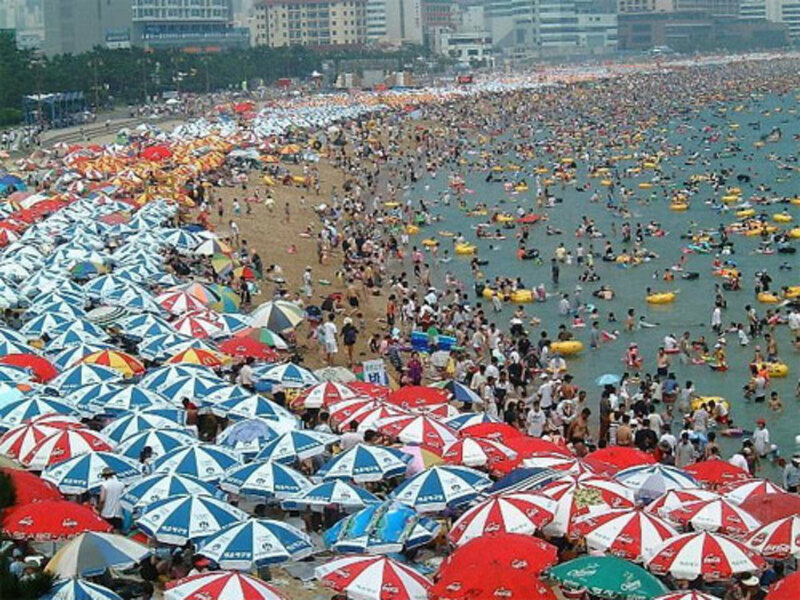 Busan boasts five different beaches- and perhaps more depending on who is counting. 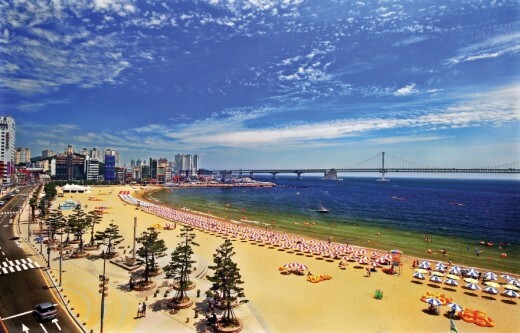 The most famous and most popular is always-crowded Haeundae Beach, with its soft, white sand. Tourists both foreign and domestic love to be annoyed by the sheer number of people on the beach during the high season. Beachgoers arrive at sunrise and stay until sundown. Gwangalli Beach, Busan's "city beach," boasts views of Busan's famous Gwangandaegyo or Diamond Bridge. It is located in a cove with adjacent restaurants, nightclubs, bars and coffee houses, and is popular at night as well as during the day. Songjeong Beach, on the coastline north of Haeundae Beach, is more secluded and perfect for families. Shallow waters make for good swimming. It offers fishing at its northeast end, seafood restaurants at the southwest end and a pavilion for watching the sunrise. Songdo beach is Korea's oldest, dating to 1913 when it was opened as the country's first official beach. From 2000-2005, the beach was reconstructed. At its north end are rock formations perfect for climbing. Dadaepo Beach, in south Busan, is a shallow-water wide-sand beach that is home to the Sunset Fountain of Dream. 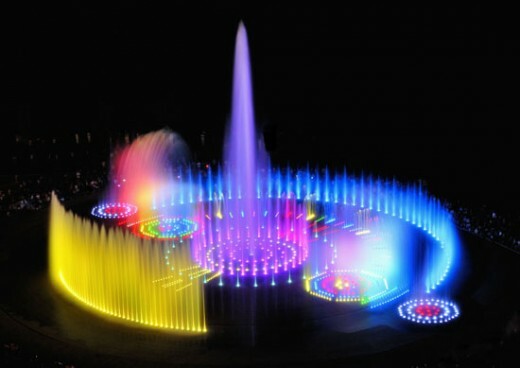 The Fountain is an enormous, choreographed musical fountain with light-and-sound performances that rivals the Bellagio in Las Vegas. It can be viewed five times per day, every day but Monday. Busan offers plenty of activities for vacationers who do not like beaches. Dongbaekseom Island blooms with Camellia flowers from winter to spring and features a walking path that leads to a monument inscribed with a poem by Choi Chi-won, a mermaid statue, and the Nurimaru APEC house, where a world summit APEC meeting was held in 2005. The island is not officially an island - silt deposits connected it to the mainland - but it retains its name. 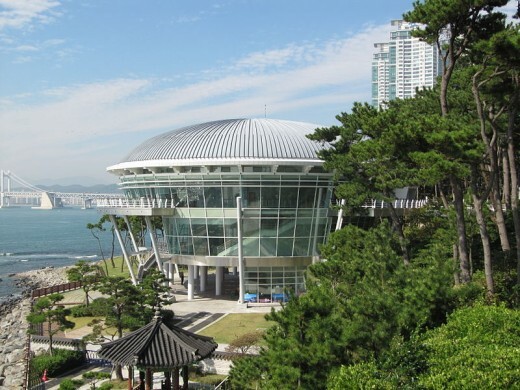 It offers fantastic views of the Busan shoreline and Gwangangdaegyo Bridge. Beomeosa Temple and Haedong Yonggungsa Temple, both off the beaten path, are engaging journeys. Beomeosa is 1,300 years old and one of the country's best-known urban temples. Located at the eastern edge of Geumjeongsan Mountain, it was constructed by monk Ui Sang in the 678. The temple sustained heavy damage during the Imjin War of the late 1500s, but was restored in 1613 and has remained since. 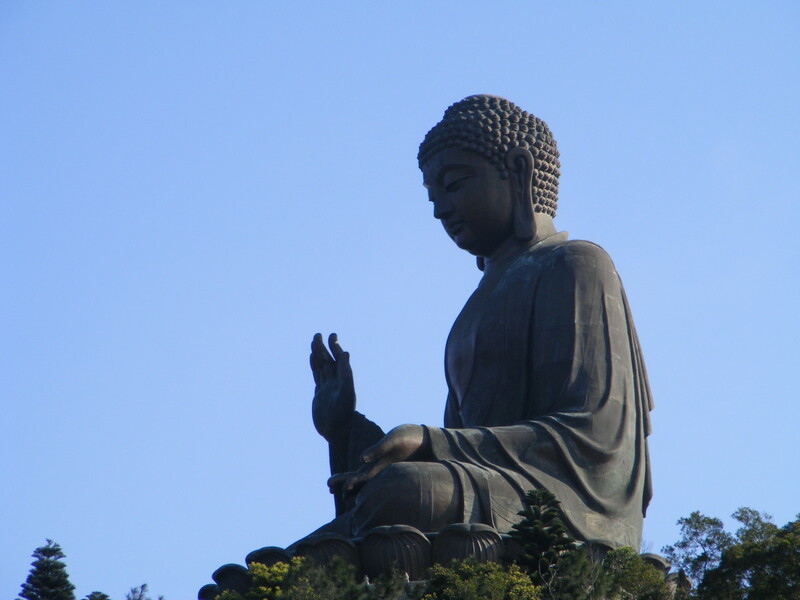 Beomeosa Temple operates a templestay program for visitors to learn more about the Buddhist culture. Haedong Yonggungsa Temple, built on a cliff overlooking the seaside in 1376 by the great Buddhist teacher Naong, is the more popular and photogenic. It contains five primary features that overlook the ocean: The Seawater Great Goddess Buddha, the Daeungjeon Main Sanctuary, Yongwangdang Shrine, the cave-enclosed Gulbeop Buddhist Sanctum, and a three-story pagoda with four lions. People come to Haedong Yonggungsa on New Year's Day to make a wish for the new year as the sun rises. For shoppers, Gwangbokro Culture and Fashion street is a go-to destination. Name-brand clothing and cosmetic shops align the thoroughfare, and a large Christmas Tree decorates the row every December. Restaurants and coffee shops are available, but the street is also close to BIFF Square, the most famous outdoor street-food destination in Busan. On rainy days, shoppers opt for the Shinsegae Department Store, a multi-level shopping extravaganza complete with food court and ice rink. Horror film buffs likely recognize the city of Busan from the 2016 zombie flick Train to Busan (부산행) and ask "is it possible to take the train to Busan?" Not only is it possible, but recommended, desirable, and easy! Most tourists fly into Seoul (Incheon). After a few days touring (or as part of a one-week South Korea tour) it's fast and easy to get a KTX high-speed train at Seoul's main station. You can purchase tickets in advance from Korail for about $55. The video below shows you what taking the train is like, step-by-step. There is no shortage of things to do in and around Busan, South Korea. 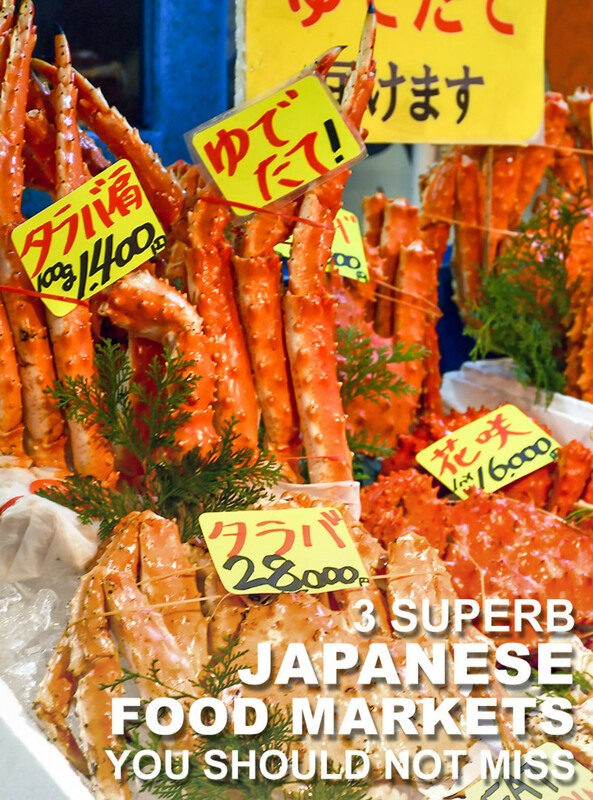 From beaches to temples to excellent shopping and dining, Korean nationals make it a popular vacation destination. 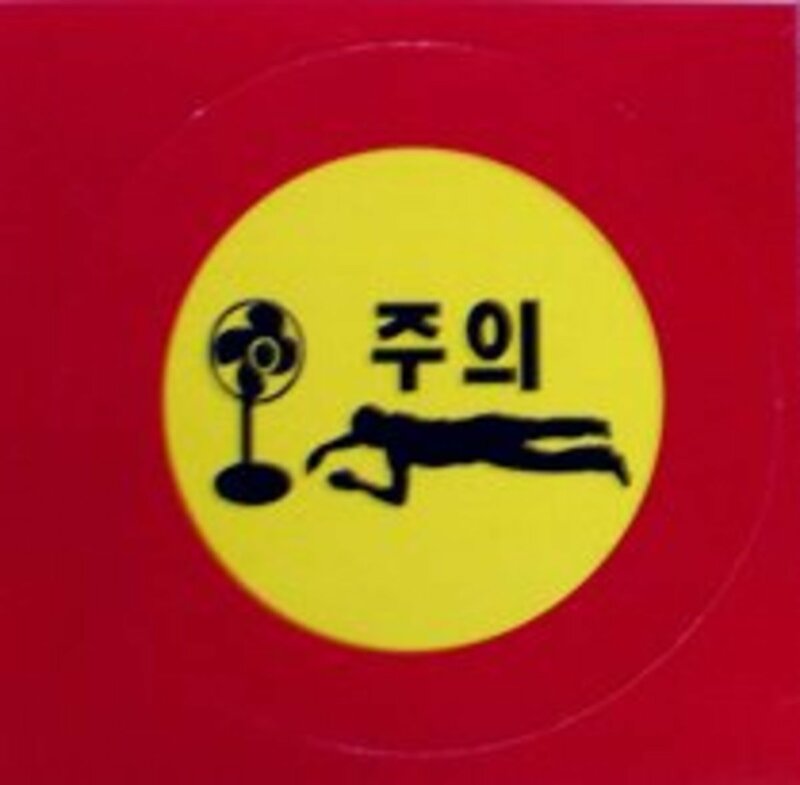 It should be a featured part of any Korean tourist's itinerary. What might be your favorite activity in Busan? This looks beautiful! I absolutely adore Korean food but have never visited the country.